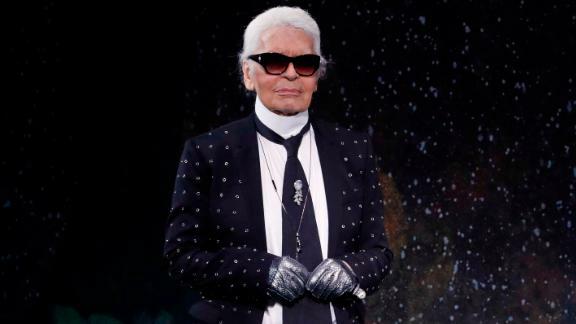 Karl Lagerfeld, the creative director of Chanel and Fendi and one of fashion's most prolific figures, has died at the age of 85. The influential German designer is best known for his work with the French luxury fashion house, along with his prodigious output. He was also the creative director at Fendi and his eponymous label. Rumors had swirled about his health after he was absent from his Chanel show in late January due to what the company described as tiredness. Lagerfeld, who transformed Chanel after taking the helm in 1983, was rarely seen without his dark glasses, a silver ponytail and fingerless gloves -- gaining him the reputation as the most recognizable man in fashion. 'We have lost a creative genius who helped to make Paris the fashion capital of the world, and Fendi one of the most innovative Italian houses. We owe him a great deal: his taste and talent were the most exceptional I have ever known,' Bernard Arnault, the chairman and CEO of LVMH, said in a statement. His decision to helm Chanel, founded by Gabrielle 'Coco' Chanel, turned him into one of the most celebrated fashion designers of the 20th century. Celebrities and giants of the fashion world have been making tributes to late designer. Donatella Versace called him a genius who 'touched the lives of so many,' especially her late brother Gianni Versace. 'He has exerted an incredible influence over the fashion industry over the past six decades,' Enninful said in a statement. 'Karl was a genius and always so kind and generous to me both personally and professionally,' Victoria Beckham wrote. 'I came to France to see you this week and introduce you to my daughter ... I'm heartbroken I was too late,' wrote actress Diane Kruger.